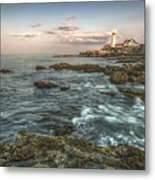 Portland Headlight Mood Vision by David Pratt - 10" x 8"
Portland Headlight Mood Vision poster by David Pratt. Our posters are produced on acid-free papers using archival inks to guarantee that they last a lifetime without fading or loss of color. All posters include a 1" white border around the image to allow for future framing and matting, if desired. 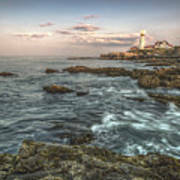 There are no comments for Portland Headlight Mood Vision. Click here to post the first comment. 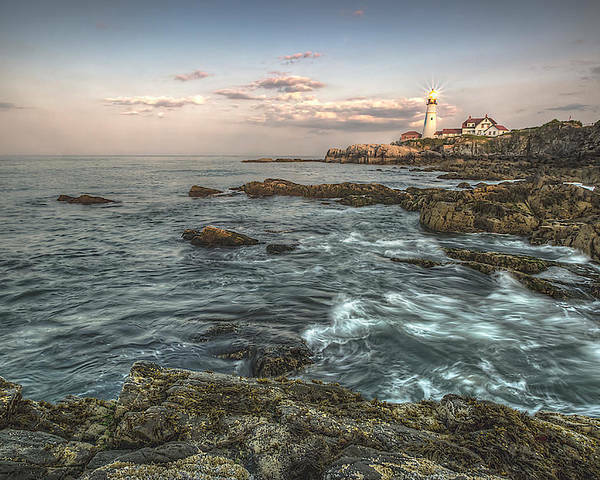 This photo of the historic Portland Headlight, I captured this image just after sunset with my wide angle lens and a long exposure to capture some movement in the waves. 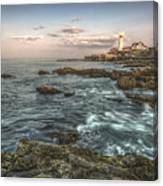 I wanted to capture the jagged rocks in the foreground leading the eye up the landscape to the edge where Portland headlight has sat for a very long time.